Home \ #Kreative – The Cannes Lions Pre-Roar! 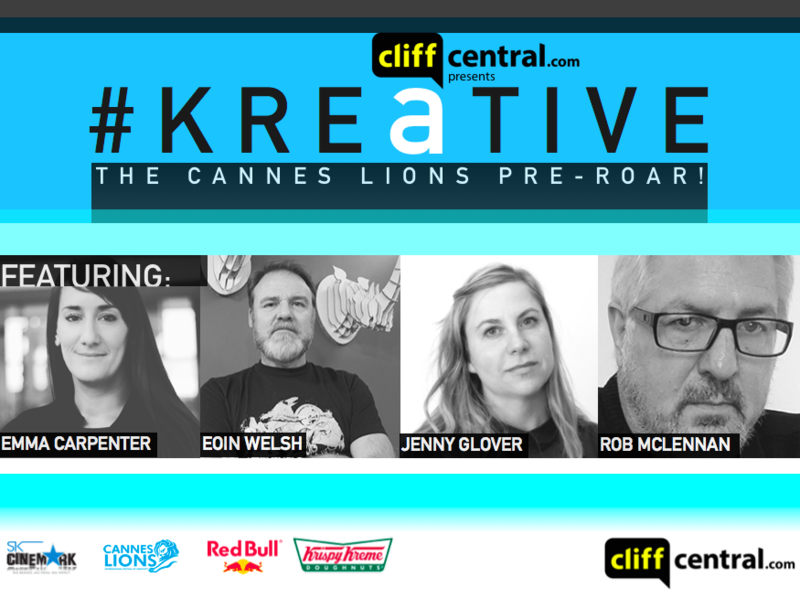 #Kreative – The Cannes Lions Pre-Roar! #Kreative is a CliffCentral.com initiative focused on inspiring creativity as an economic game-changer within the South African context. #Kreative – The Cannes Lions Pre-Roar! was a precursor to The Cannes Lions International Festival of Creativity which takes place annually in Cannes. Our 4 speakers at this session were: Emma Carpenter, Creative Director, Accenture Interactive; Eoin Welsh, Chief Creative Officer, Havas Worldwide Johannesburg; Jenny Glover, Executive Creative Director, TBWA Hunt Lascaris and Rob McLennan, Creative Founding Partner, King James II. The following talks by the Cannes Lions Jurors centre of the notion: “How to create something, where there was once nothing”. A special thanks to Redbull and Krispy Kreme for catering our #Kreative evening at the CliffCentral HQ. Content hosted by iono.fm Creative Director at Accenture Interactive South Africa, Emma Carpenter discusses creating something from nothing. She shares her expert advice and experience on how to deal with a client brief in a way which enables creative magic. Content hosted by iono.fm Creative Founding Partner of King James II, Rob McLennan speaks on his illustrious career thus far against a creative context. A talk inspiring new ways of thinking, Rob will entice you to always strive in creating something from nothing. Content hosted by iono.fm Chief Creative Officer of Havas Worldwide Johannesburg, Eoin Welsh has some wisdom to share when it comes to the notion of creativity. In this simple and heartfelt talk, he shares real insights into the South African creative industry. Content hosted by iono.fm Executive Creative Director for TBWA/Hunt/Lascaris, Jenny Glover shares her thoughts on creating something from nothing. Delving in to how her brain works, Jenny shares her thoughts on using inspiration in a “blender” to make something fresh and original.